Talking and listening to customers has become a dedicated focus for businesses, particularly retailers, as markets have become tighter and competition at an all time high since the economic crisis. 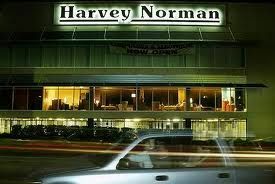 According to Gary Wheelhouse, social media director at Harvey Norman, never has there been a time where customers want to talk more â€“ a fact that may be attributable to conditions globally around financial markets. Customer feedback collected via social media channels is taken into consideration in tailoring the global retailerâ€™s business approach, Wheelhouse adds. â€œWhen we talk to customers in social media they tell us the good, the bad and the ugly. They speak to us about what they like and what they donâ€™t like. We see customers in three forms - they love us, they hate us or they want something. To that extent if customers are asking specifically for services in social media and that includes our website feedback also, which is a huge area of feedback for us, then we will take that into consideration and pass that directly over to the COO and the CEO. The marcus evans Customers for Life Conference will take place in Sydney, 4-5 November.